All people are different and are respectively afraid of different things. For example, now many people are afraid of the economic crisis. They are afraid of losing their jobs, bank deposits, they are afraid just of tomorrow. Meanwhile, each of us is surrounded by things far more fearful than the loss of a job! American scientist Charles Gerba considers that the usual office equipment, such as a telephone, a keyboard or a mouse, is a serious threat to human health. According to the results of his research, some workplaces are a hundred times dirtier than public toilets. For example: a mouse which has not been cleaned for several weeks, contains about 1,676 microbes per square inch, and the keyboard – 3300 microbes based on the same area. The dirtiest place in the office is the phone. Due to regular calls, conversations with colleagues, visitors and customers there are approximately 25,127 microorganisms on one square inch of the phone buttons. 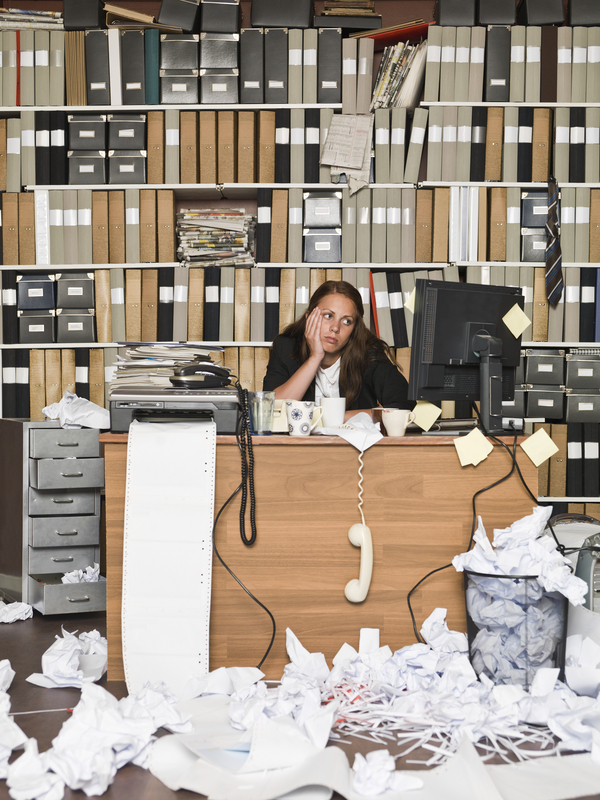 On average, the usual office is home for about 21,000 microbes per square inch. Toilets in the same offices are 400 times cleaner – there are only up to 50 microbes per square inch there. ● toilet seat – 49. The scientist reminds that microorganisms carrying the viral infections, such as influenza, can live on different office surfaces for 3 days. Moreover spilled coffee, crumbs, dirty mugs on the table are a favorable environment for the development and reproduction of microbes. Only regular disinfection can solve the problem. Wipe the phone and keypad with alcohol. This simple procedure destroys 99% of germs. The harmony of images and colors on the canvases awakes a storm of emotions in humans. Joy, peace, serenity, inspiration – this is far from a complete list of feelings that we are experiencing looking at a work of art. The desire to constantly experience these emotions makes a man already for many centuries to decorate his dwelling with various artworks. 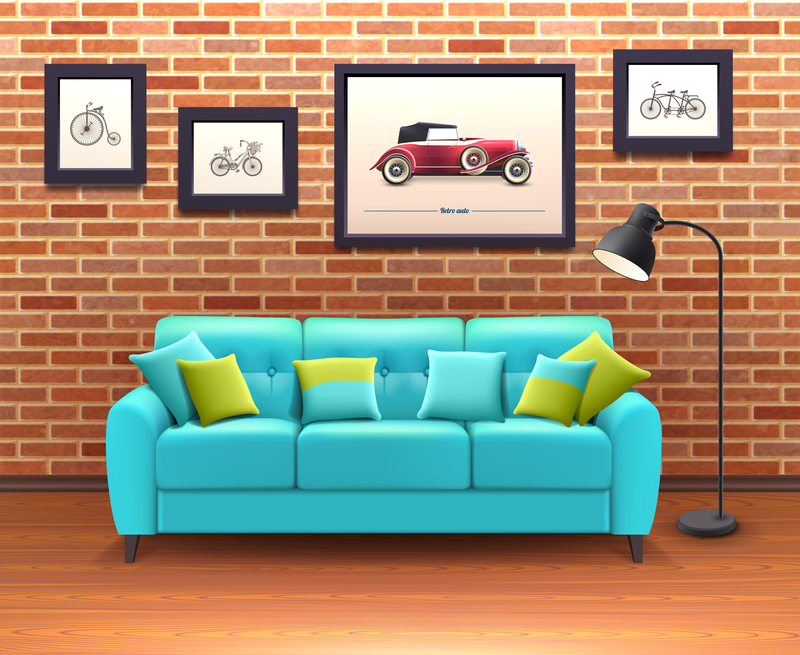 If your house or office is decorated with pictures, remember that they require a special care. It seems what can be easier? Just hang a picture on the wall and admire it. In reality, in order for the picture not to deteriorate but to delight your eyes throughout many years, several very simple rules should be followed. 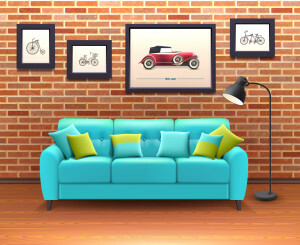 - Do not hang a picture in direct sunlight, in places with high humidity, near heaters and above air conditioners, because changes in temperature and humidity may have an extremely negative impact on it. - Try to do everything so that drops of water and fat do not get on your picture, do not touch the drawing with the fingers. - Pictures do not tolerate fumes and tobacco smoke, because they absorb the smell and get covered with unpretty coating. Watercolors are insufficiently durable. Over time, especially under the influence of direct sunlight, they lose their brightness and fade. Furthermore, the paper on which the drawing is made also fades, gets easily contaminated and becomes brittle. If dirt gets on a watercolor painting, under no circumstances should you use water or an eraser for cleaning. For gentle cleaning, you can use a rolled-up white bread crumb. Thus it is necessary to process not only the contaminated area, but the entire surface. To protect the watercolor drawings, experts advise to put them in a frame under glass. Due to the fact that the contact with glass also harms the drawing, it is the most advantageous to use the passé partout. If your painting is hidden behind the glass, taking care of it becomes absolutely not burdensome: periodically clean the dust with a soft cloth from the glass, from the frame and the backside of the painting. To clean the glass, do not spray on it a wiper; the glass is better to be cleaned with a soft cloth dampened with water and some glass cleaner. Paintings in oil are created on canvas, cardboard or wood. Such pictures, as a rule, are not hidden behind the glass. A picture painted in oils dry several years, therefore you should hang them in a warm place which a good ventilation. After a layer of paint hardens experts advise to cover the picture with varnish. It gives the picture additional stability to sunlight, water and mechanical damage. Place the picture at an angle to the light. If there is no varnish on the surface, glare of light will be uneven. Painting in oils must be dusted from time to time. From the front side the dust is removed in one direction with a dry flannel or velvet cloth. Do not use a brush, a duster or a vacuum cleaner. The backside of the painting should be dusted with the same cloth. The cleaning of the backside of a painting should be done at least once in half a year. The dust from the frame is cleaned with a soft cloth. Faded gilding of the frame will restore its gloss if you wipe it with a flannel cloth soaked in a mild alcohol solution. Experts advise not to use water and detergents for cleaning the pictures if the paint layer is cracked, this can irrevocably ruin the picture. If the picture is heavily contaminated or deteriorated, do not try to correct the damages yourself. Only a professional restorer will be able to do a good job in high quality restoration of the picture. Recent statistics show that 91 millions of working days are lost missed due to fall injuries annually and 90% of them happen because of wet floors at work. If we only think, these numbers are horrible, and they should be decreased. 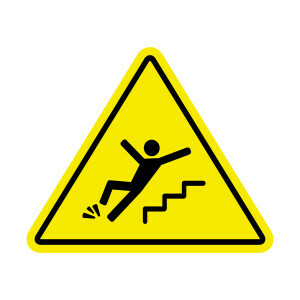 Furthermore, it is so easy to prevent slip and falls at work. As a professional cleaning company, we can say that clean floors look fabulous and create the positive impression, but there are several rules that should be followed in order to prevent falls. 2. Make sure that stairways are correctly lighted, change the light bulbs regularly. The outside of your office building should be also well-maintained to ensure safety. 1. All the obstacles should be removed, no boxes, no loose rugs and no trash canes. 2. Remove snow or water regularly. 3. Keep the entrance well lit. 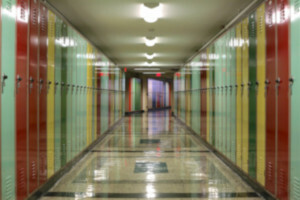 The outside of your building also creates a first impression and needs to be monitored to help ensure safety so people don’t slip, trip and fall. No Pests in the Office! Just imagine the situation when you work at your desk and see or hear this unpleasant sound of a bug. It doesn’t matter who it is, it is AWFUL! Even to offices that seem ultra-clean these ugly pests can penetrate. 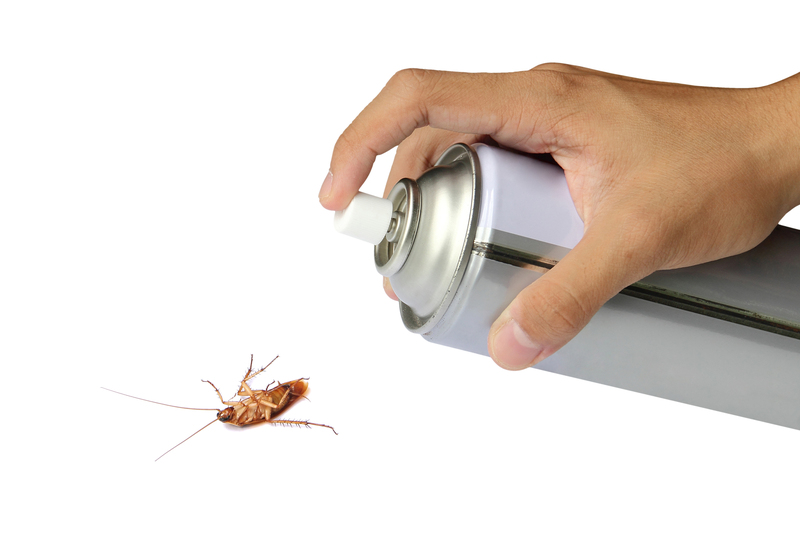 According to the National Pests Management Association, the most common pests at the offices are cockroaches, mice and bedbugs. There are several tips below that will help you to get rid of these persistent pests and will never allow them to come back. First of all, you or your cleaning crew should identify the most common areas for pests. Trashcans and kitchens are the most common areas because there is food. The next step is cleaning. Your cleaning crew should conduct regular and thorough cleanings. Make sure, they know that they need to dust and sanitize regularly. As for the employees, they need to remember to keep food in containers. The trash from the kitchen, or other trashcans that may contain food should be thrown away daily. Remember to cover all the trashcans. In the kitchen, any spills or stains should be wiped away immediately. 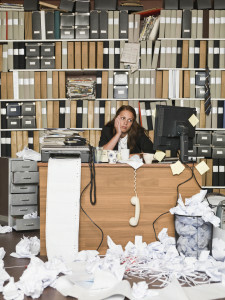 Office pests is a problem not for one person, everybody should work hard to resolve it. That’s why it is important to talk to your employees. Some of the pests are brought to the offices by humans, bedbugs, for example. Encourage your coworkers to inspect their personal apartments and homes. If your office suffers from insects, you can use special pesticides, but apply it locally and at the end of the day. Of course, the best way is to call a professional exterminator. No one wants to deal with pests, only professionals know the best way of killing them. 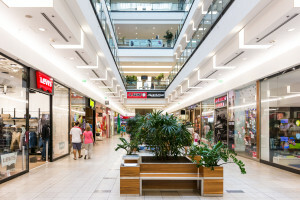 Malls around the country are the most popular and the most visited places. Doctors and heath experts announced that there are eight places that are homes for millions of bacteria and viruses: the flu viruses, E. coli and others. We think that all food courts are clean and sanitized, but actually the cleaners use the rags and cloths that contain bacteria that can be spread around, such as E. coli. Experts agree that the germiest places in restrooms are sinks and soap dispensers. Use special hand sanitizers and they will help you to decrease the number of bacteria on your hands. Researches have found that every ATM key contain 1,200 germs, including viruses and bacteria. The germiest key is ENTER because everybody touches it. Not only fitting rooms, but also such an action as trying on clothes can lead to catching different diseases. Be careful and use hand sanitizers at least. Experts say that toy stores can contain much more germs than playgrounds. This happens because very often children behave inadequately at the stores in order their parents buy a toy they like. Kids lick them, rub their faces, kiss toys, etc. Different gadget shops are not safe because people touch these gadgets thousands of times, if not more. Scientists also conduct the research that showed that viruses can be easily transferred between screens (glass surfaces) and fingers. How Clean Is Your Hotel Room? I’m sure you’ve seen lots of reports telling about how unclean the hotels are. 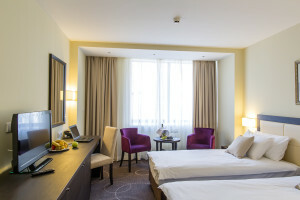 How to stay safe and clean in a hotel during your business trips? Experts from the commercial cleaning service have shared with us very important tips that should be kept in mind. First of all, you need to inspect your room before you start unpacking. Check the floors, bathtub, toilet seat, sink, mirror for stains, hair or other unpleasant stuff. If you consider your room to be unclean and dirty, don’t hesitate and ask for a room change. Most likely a receptionist will gladly help you. If your room looks clean and you agree to stay in it, be sure to follow several rules for your personal safety. Everybody knows that remote controls and phones are homes for millions of bacteria. Before using it, it is recommended to sanitize them. Bedspreads are not washed after every guest. If your bed is coved with a bedspread or a comforter, toss it aside and don’t use. Use special sanitizers or wash your hands with soap and hot water. Don’t do it even if you really want to. Not all the hotels use special shampoos and sanitizers for carpets. Wear slippers or socks. The same rule is applied to the bathroom. Take your shower in flip flops or special shower shoes. 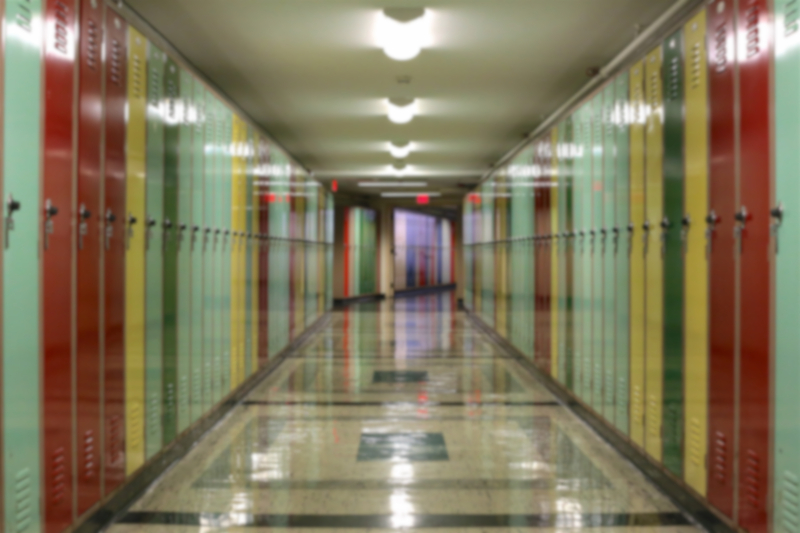 Why Hire a Janitorial Cleaning Service? 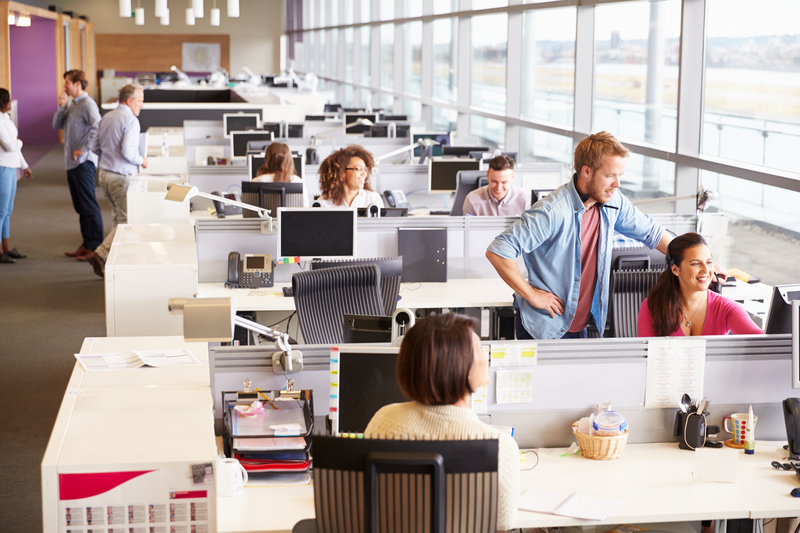 If you are an owner of an office or any other type of business from a store to manufacturing plants, you will surely know that a clean environment is one of the most important factors for being successful. A dirty and unhealthy environment brings problems, unhappy faces and poor reputation. People walk in and they do not want to see dirt, they want to see professional working in an appropriate atmosphere. Professional cleaning services will help you to keep your office clean and professionally looking. Sometimes owners think that they can clean their business by ourselves…but is it really so? Professional Janitorial Cleaning Companies know exactly their job; they know what to do and how to clean. They pay special attention to the details that you might forget and do not see. These companies know how to make your establishment to look best, they have experience. Commercial cleaning services will make your office shine and sparkle. Professional janitorial cleaning services, such as Pro Quality Office Cleaning, offer to its’ customers not only usual cleaning services, but also customized ones. If a client needs his office to be cleaned on weekend, they will surely come. If a client needs a crew to pay attention to certain details, or course, our cleaning crew will do that. Every office and establishment has their own requirements and needs, some offices are small and others are large, that’s why customized services help not only to save time, but also money. A professional janitorial cleaning company helps to keep your office spotless. Professionals pay attention and put more efforts in cleaning the areas that usually are overlooked by others. Cleaning professionals save your time and give the opportunity to work over important deals.